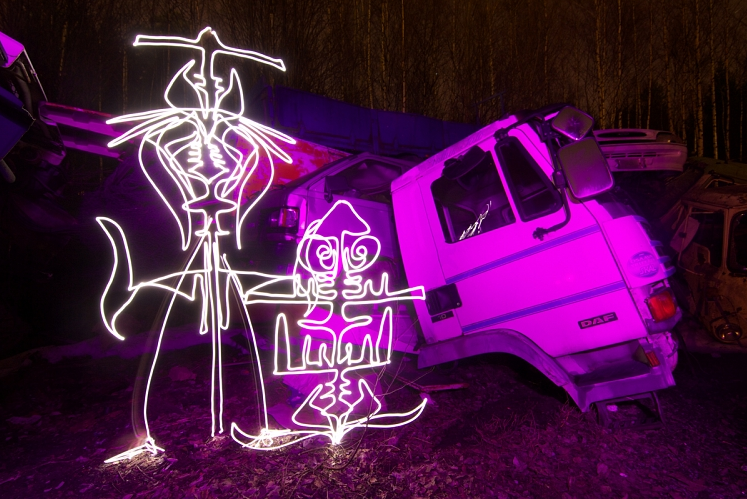 Interview With Janne Parviainen & Hannu Huhtamo: Light Painting Artists From Helsinki. Although Direct Trade Supplies is an electrical wholesaler we like to try and deliver a different kind of stance on our blog page – by loosely connecting interesting and unique stories to the products we sell. You’d be fooled in thinking that the above pictures have been created on some sort of graphic design software, but they haven’t. This is in fact just one of many examples of how Janne Parviainen & Hannu Huhtamo, famous light painting artists from Helsinki, Finland, use LED lights and long exposure camera techniques to create multicoloured masterpieces. In recent years a lot has been said about the energy saving qualities of LED lighting. However artist’s like Janne & Hannu from the Finnish Light Art Collective Valopaja aren’t necessarily interested in how LEDs can save you money, it’s more about what LEDs can provide on a more artistic level. By implementing long exposure times on a camera, which can vary from a few short seconds to a couple of hours or more, they proceed to draw in the air and on the ground. Whilst the camera’s shutter is open they construct the outlines of their remarkable designs. Such fascinating images begs the question of whether these photographs have been manipulated, but both Hannu & Janne claim no Photoshop techniques were used post-capture. Instead, they rely upon nature and lights, carefully selecting their locations – such as ugly, downbeat and desolate buildings, and uplifting them by using LED lights. And it’s fair to say that the results are magical. 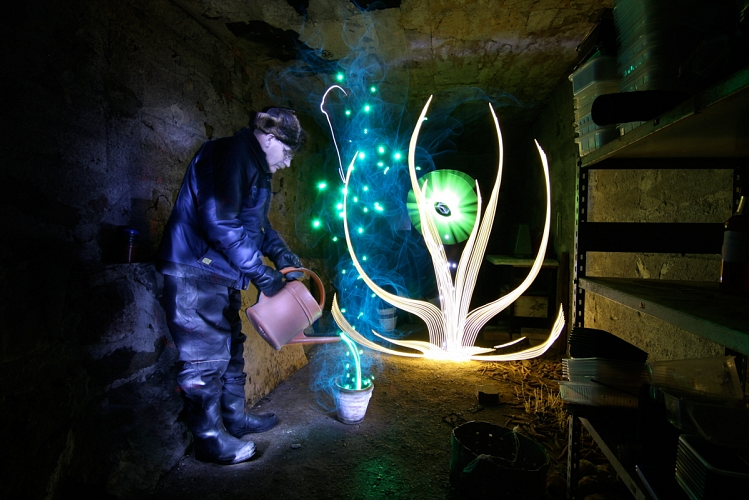 These two light painters have attracted world wide coverage over the years, Janne Parviainen in particular. His CV is astonishing, with his work featured in national newspapers and magazines such as The Guardian, The Daily Mail, The Telegraph, The Sun, Metro, Wired, National Geographic and Yahoo News. Despite their busy schedule Hannu & Janne have joined Direct Trade Supplies for an exclusive interview. So let’s succumb to the darkness and shine a light on their wonderful work. 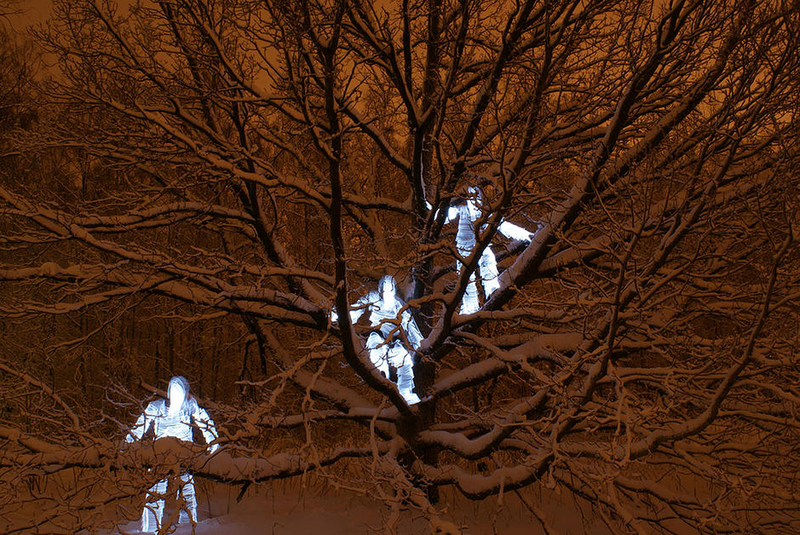 Q&A With: Janne Parviainen & Hannu Huhtamo, Helsinki’s Light Painters. Have you always had an interest in art and what/who has led you to this specific form? I graduated from an art school in 2003 and I’ve been creating art full time ever since. I now teach art and photography in various schools in the Helsinki region, I teach a couple of times a week as well as working on my own projects at home. I also make paintings, in which I paint on old windows using mixed media that involves oil color, metal leaves and graffiti permanent markers. Most of my nights are spent on my favourite work; light paintings. When I was a child my father was a very active photographer, so photography has always been a very familiar art to me. I started taking photographs myself at the age of ten, me and my two brothers were allowed to share my fathers old camera. I remember making some light painting photos with my older brother when I was about twelve, but it would be a few years later until I really got hooked to the art. I rediscovered light painting around six years ago. I had found the long exposure on my Ixus 40 whilst walking home at night time, I accidentally took a photograph, looked down and the street lights had drawn wonderful light trails into the photo. I got really excited. After this experience I immediately started to test other ways to experiment with light and long exposure photography. I have now totally fallen in love with the light painting medium. I’ve always been interested in drawing. As a child I got huge inspiration out of Marvel’s Daredevil and G.I. Joe characters like Snake Eyes. I just loved that drawing style, and I still do. Later I got interested in music and started playing guitar which encouraged me to study music at the Pop & Jazz Conservatory in Helsinki. Photography and light painting came into my life in 2008 when a good friend of mine Janne Parviainen showed me his long exposure experiments and introduced me to the world of light painting. It soon developed from a serious hobby into a way of life. Finland is known for its natural beauty – has the country, its landscape as well as the Northern Lights inspired your work in anyway? Absolutely, Finnish nature is inspirational and it has always been a main source of ideas for many of our national painters like Akseli Gallen-Kallela or Eero Järnefelt. 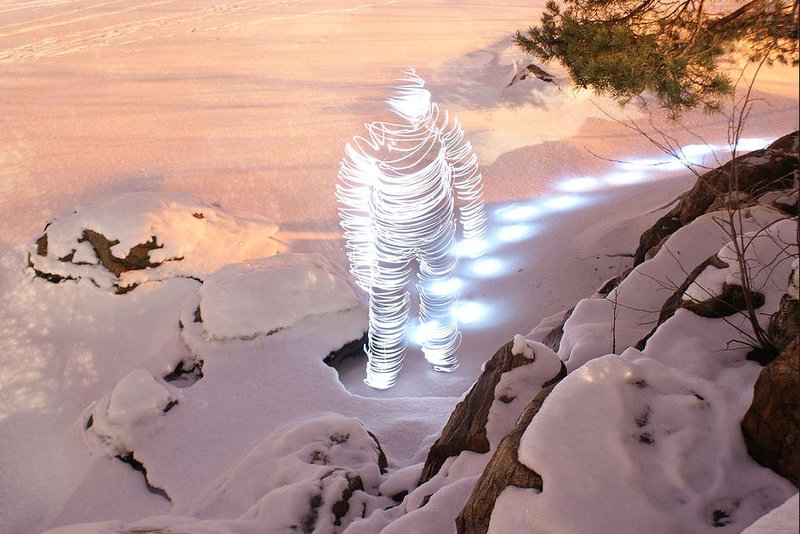 We have so much darkness and pure white snow which looks awesome when it’s combined with long exposure light art. I live in the southern part of Finland so the Northern Lights are a bit of a less seen phenomenon here, but I have seen them before, and it’s easily one of the most beautiful things I’ve set my eyes on. It would be great to catch perfect scenery, Northern Lights and an epic light form into a single frame. I have questioned why Finnish design and architecture is so very minimalistic. This is also true with a lot of modern art as well and I think it is the white and cold winter months which inspires this style. In the winter time a lot of the complex details in nature are hidden. They become blanketed under the layers of snow, leaving a minimalistic landscape of different tones of white and grey, even the air seems to lose all its variations to the smell of ice and snow. I think it’s the most powerful influence of Finnish nature in my art; to know the essence of each subject and how to find a strict rhythm from the chaos. Are your designs modelled on anything in particular and do you sketch them out before you go out to take photographs? I usually don’t sketch anything. This is because I believe the sketch itself holds too much authenticity in emotion and impression than the replication. I try to cherish the little mistakes I make because it helps the drawings and paintings become real and alive, something that’s very rare these days as everything seems computer calculated. I am very often inspired by old etchings and graphic art in general. I especially like M.C.Escher’s work as well as Gustave Dore’s work for the Divine Comedy. 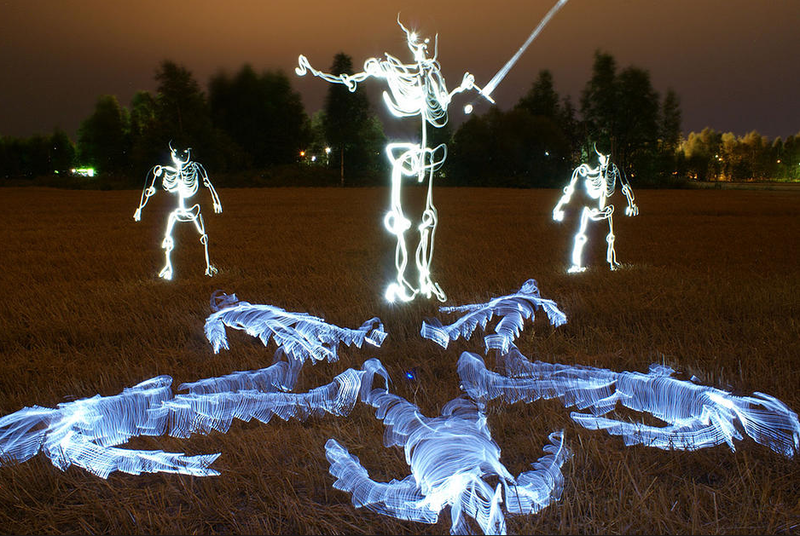 I actually plan to create some modern interpretations of this with my light art very soon. Flowers and plants have interesting forms and tiny details that you can stare at for hours. I use its symmetry and I try to mix it up with my own ideas, hoping to come up with something beautiful at the end of it. I do some sketches on paper before I start shooting but it’s always good to go down to the location beforehand to take some test shots. This way it is much easier to plan the composition and lighting prior to shooting. Why are LED lights so essential to the art you create? LED lights are fairly affordable, safe to use, cost-effective and they last a long time which makes them the perfect tool for an artist. There is a huge variety of LED based equipment that can be easily modified for drawing with light. My light painting gear is very simple. I use different coloured children’s finger led lights which I order from China, I get 40 pieces for around 5 dollars. I have a lot of different flashlights too; two Led Lensers, five Olights, two Ultra Fire flashlights and two cheaper one’s which I bought from ‘£1 stores’ in Finland. LED lights are essential to my art because they are very small and intricate, even with the battery they allow me to trace everything with great accuracy. RGB LED lights have also dramatically changed the colour palette of my work. Is there a standout photograph which you are most proud of? Well, it’s really hard to name just one, but there’s an older picture called ‘Stranded’ which I’ve kept as one of my best shots. It’s not the light form itself, but it’s the combination of colours and shapes. It was also quite a challenging photograph to take because it was -18 degree celsius with freezing winds. I had about 1 meter of snow to wade my way out. After National Geographic published my photograph ‘Days of Our Lives’ it became very iconic photo for me. I remember when the finished photo appeared on my camera screen, I was so excited that my idea had turned out so good. The work I did for Adobe Remix is also a project which I’m very proud of. I wanted to create something as difficult as I could imagine, and it worked out just the way I wanted. I worked on the project for two weeks and it was so rewarding to challenge myself by creating something totally new and mind blowing. Assuming you may have bumped into people whilst you’re out and about creating this art, can you remember any funny responses to what you are doing? I have had a lot of strange and funny situations on my photography trips. One time I was taking photos near my old house which was next to a big field. I had brought a big sword with me for the photo (see picture below) and when I was coming back to my house, which was around 400 meters from the location, a police car came around the corner and stopped me. They had seen me carrying a sword and wanted to know what I was doing with it. Luckily they were rather cool about the whole thing and let me go after I’d shown them the photo! Most of the people just walk by pretending that they don’t see me at all. That’s because they usually don’t have a slightest clue about what I’m doing. Some might think that I’ve completely lost my mind or I’m doing something criminal. But, sometimes it goes in the opposite direction and they want to try it out by themselves. 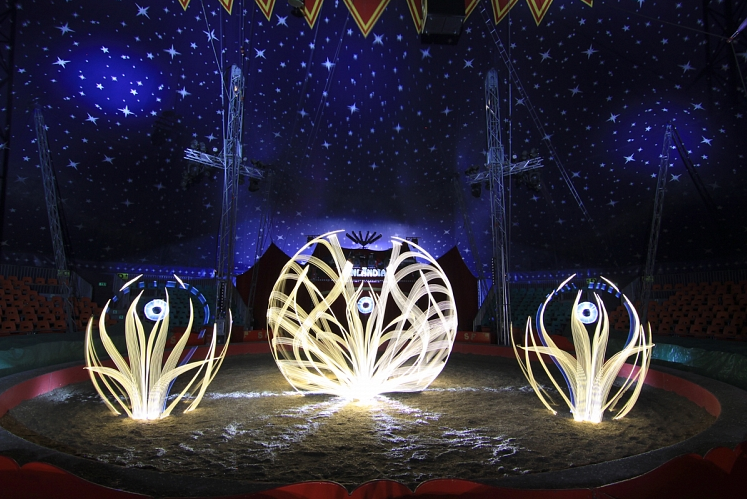 What makes a good location to shoot your lighting displays? It has to be dark enough. Forests or bigger parks will do. Abandoned buildings are really good locations because they usually look ugly and ruined, but in a good way. These kind of locations provide a great contrast when they’re combined with glowing and beautiful light forms. The only two things I need for my art are dark lit conditions and something to draw on – so I’m quite versatile that way. I’m constantly looking for interesting locations, from either browsing through urban exploration blogs or driving and walking around the outskirts of Helsinki. I really enjoy abandoned places and demolished buildings, this is because they reflect a completely different atmosphere and rhythm than the surroundings we usually live in. Can you briefly breakdown what it takes to create this art form? Most of my new photos take a lot of time to create, the exposure times vary from 10 to 50 minutes. I have created the human-like forms by tracing my body from head to toe with an LED light. 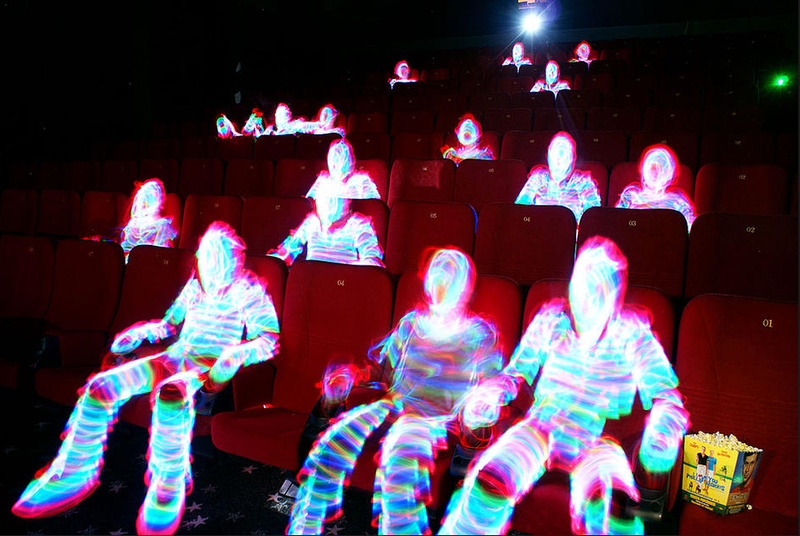 The multicolored figures are drawn to the photo with a RGB (colour changing) LED. I really like to use the human silhouette in my artwork because you can add so much more story to the photographs. For my topographic photos (rooms filled with light) I have traced entire rooms with a LED light. This is sometimes done by standing, reaching to the roof or crawling under tables, all in all it’s quite the exercise. For instance I have made a topographic light painting of a staircase two times, and after running and crawling up and down the stairs a couple of hundred times I’ve been left in in a sweat. One thing that light painting really cultivates is the sense of a three dimensional space, so after thousands of photos it is quite easy to tell which parts in the photo area you have traced and what parts are still to be traced. Before I start to work on tracing the lines I carefully study the photo area and try to memorise which parts I need to work on. 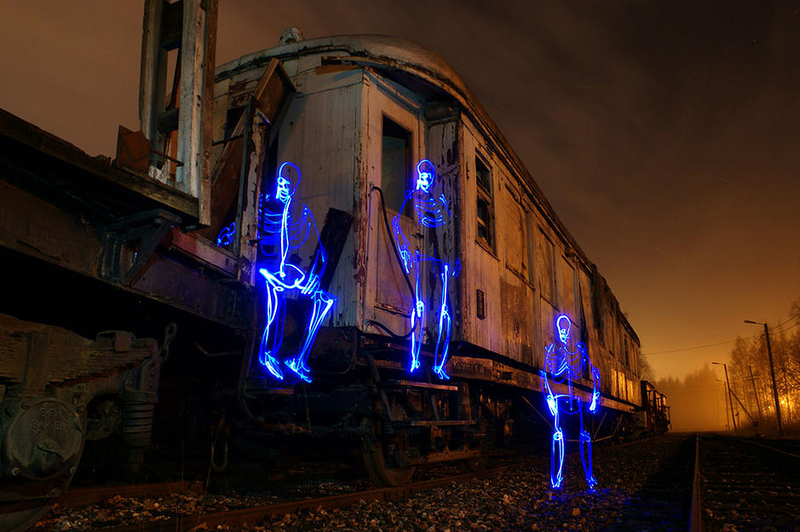 Light painting and drawing are methods of photography where the photo is manipulated with different kind of light sources whilst the camera is set to a long exposure time in the dark or a lowly lit place. The idea of my light painting is that all the photos should be straight from the camera, without any post editing by software such as Photoshop. Tools that I often use my for light paintings include flashlights, coloured flashes, led sticks, el wire (battery operated led wire), battery operated Christmas lights, children’s light toys such as light swords or tools specially built for light painting. You will need a dark environment, DSLR Camera, tripod, shutter release cable and some lights. Place the camera on the tripod and set the camera on bulb-mode. Lock the shutter open with the release cable and move the light source in front of the camera. When you’re done, unlock the shutter to view the results. All kinds of light sources will do, these include LED-flashlights, battery-operated LED-strips, kid’s toys and electroluminescent wire. I am also an official ambassador of Led Lenser products, so I use a lot of their high quality LED-torches to make my work. I also like to use recycled materials such as plastic bottles and bags to use as a filters or brushes for my flashlights. Are you part of a bigger team of light painters? Yes, I’m also a member of a light art collective called ‘Valopaja‘ (Light Workshop when translated to English). 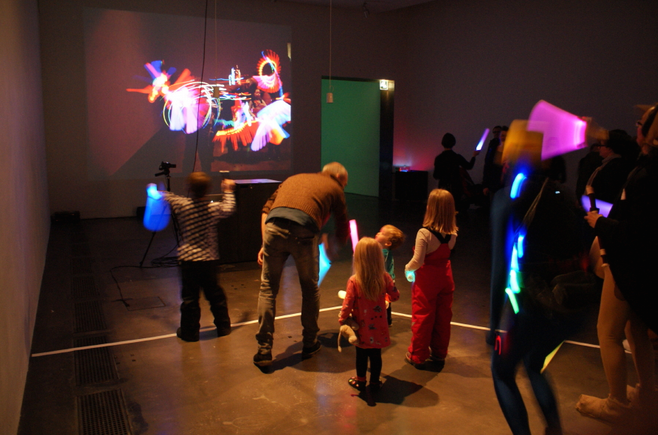 We conduct Live Light Painting performances and arrange light workshops for children and disabled people. There are six light painters in the Helsinki area with whom I take photos with on a regular basis. Taking photos in abandoned and demolished areas at night time can be daunting, so it’s good to have company, it also makes taking photos much more fun. I’m also part of the light art collective ‘Valopaja’, we organise light art installations, exhibitions, display shows and light art therapy in Finland and abroad. Is it hard to differentiate between this being a job/hobby? With the amount of time I spend making art I can safely say it is definitely a full day job. Even though it never feels like a job because it’s so much fun! Around seven years ago I decided my day job should include my passion for art. After this I have only been creating art and teaching it during the week. No, I don’t even try to separate it. It’s more like a way of life than simply a hobby or job. Sometimes I get paid for doing it, but it’s not my main source of income. What does the future bring for you and light painting? Hopefully it will bring more interesting locations, great collaborations, new job opportunities and new creative ideas. It would be great to use light art in other sectors too. I think the future brings more and more interest with both new artists and a wider audience getting involved. The technology in developing cameras and light tools is sure to have us witnessing some amazing new art pieces too. In my own light art, I think I’m just at the beginning with because my brain is sizzling with new ideas and experiments which I’m eager to see come to life! You can check out more about what they do by visiting the personal website of Janne Parviainen and Hannu Huhtamo. 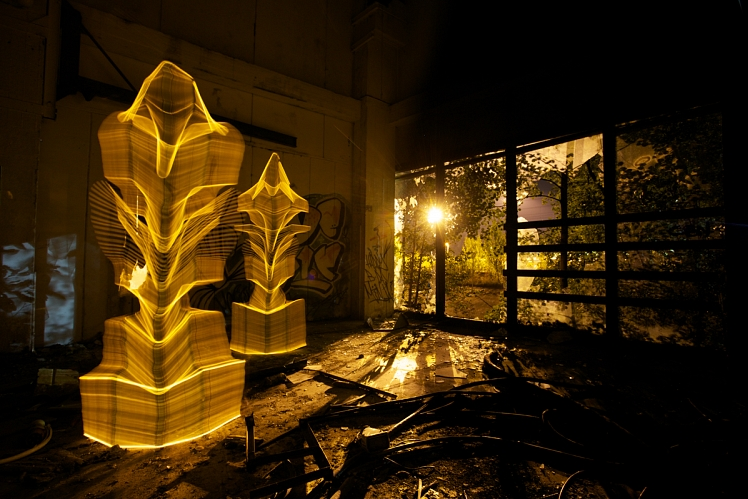 Next Post:Interview With JanLeonardo Wöllert: World Famous Light Painter. 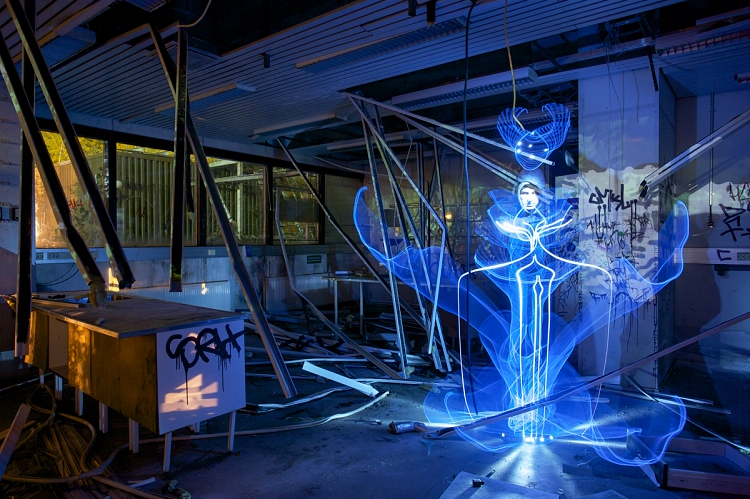 Pingback: Interview With JanLeonardo Wöllert: Legendary Light Painter.